Come One, Come All! Masquerade is on March, 14th! Come one, come all to the biggest event of the year. 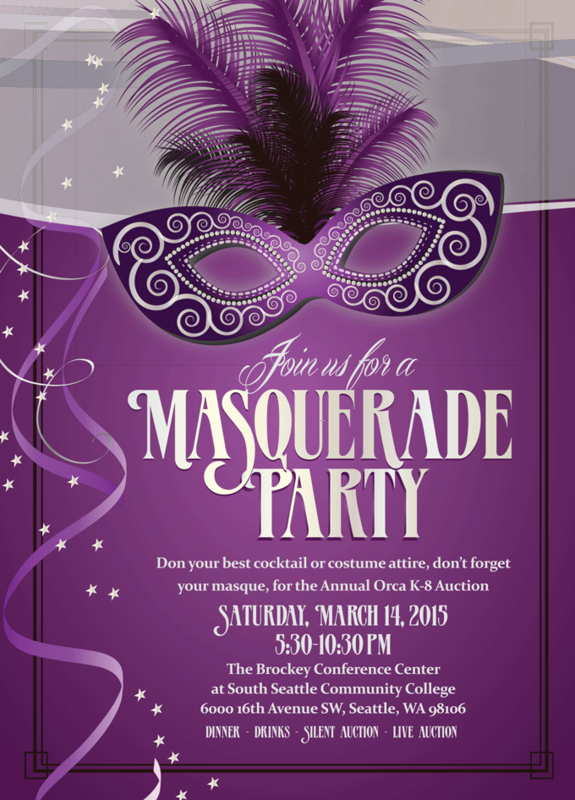 The Orca PTSA cordially invites you to attend our Annual Benefit Auction. The auction will be held at The Brockey Conference Center at South Seattle College on Saturday, March 14th. Check-in Begins at 5:30. Purchase tickets here for the big night!